Our Nickel-Iron and Nickel-Iron-Cobalt (Sealvar®) alloys are engineered to the ASTM F30 and ASTM F15 standards, respectively, for sealing materials and their specified coefficients of thermal expansion. These materials are generally used as the sealing material to bridge the difference between two materials of differing expansion rates during heating and to maintain a hermetic seal. The low levels of impurities in the material reduce the chance of out-gassing over time; a critical role in maintaining the hermetic seal. 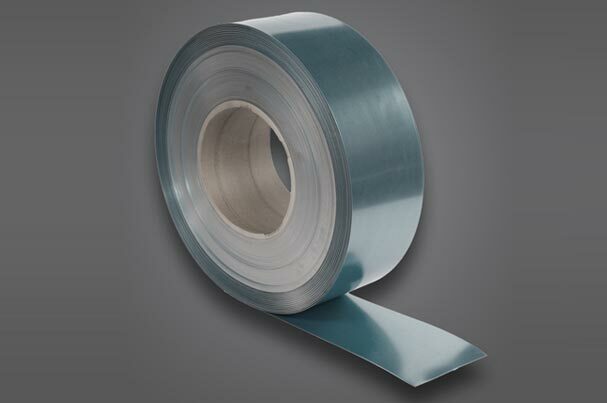 These Nickel-Iron Strip Products are generally used in sealing applications ranging from light bulbs to hermetically sealed integrated circuits as well as electrical applications such as switch-gear connections. Additional sheathing alloys are available in Pure Nickel and blended grades of Nickel-Chrome alloys. These alloys are also produced to ensure the highest ductility. The Nickel-Chrome materials are available in standard grades of 10%, 20%, 30% and 35% Chrome with balance Nickel. Silicon additions are also available. AMETEK Specialty Metal Products offers two grades of Spinodally Strengthening materials. Our Pfinodal® and AM-388® materials are produced through the same wrought powder metallurgy as copper based products with Nickel and Tin additions. These materials can be roll tempered to desired mechanical properties but also avail themselves to age hardening for increased strength and hardness making them ideal for bearing materials as well as electrical connectors. The low distortion during hardening allows for complex forming of parts prior to heat treatment without the need for costly fixtures. Recently, Pfinodal® has been chosen as a replacement for Beryllium Copper due to the carcinogenic effects of Beryllium and fears of bans on Beryllium containing products due to REACH, RoHS, and mandates. AMETEK Specialty Metal Products manufactures two standard grades of Nickel Tungsten Strip Products for use in superconducting substrates and electron cathodes. These alloys consist of 9% and 14% Tungsten, respectively, with the balance Nickel. These alloys offer stiffness, oxide resistance and are non-magnetic. We are happy to offer these standard products or work to your own proprietary specifications.